On 26 December 2012, the Holy Synod continued its sessions at the Patriarchal and Synodal residence in St Daniel’s Monastery in Moscow under the chairmanship of the Primate of the Russian Orthodox Church. Approved for reading at the services and for prayers at home were the texts of the Akathistos hymn to the “Queen of All” icon of the Mother God and of the Akathistos hymns to St Thomas the Apostle, St Mercurius of Caesarea the Great Martyr, St Gregory Palamas, St John of Shanghai and San Francisco, St Geracimus of Jordan, St Simeon the New Theologian, and St Nicodemus of the Holy Mountain. Also approved was the document “On the Russian Orthodox Church’s Participation in Rehabilitation of Drug Addicts”, recommended to be used at the parishes and monasteries, as well as at other church institutions, which take part in the rehabilitation of drug addicts. The document was drafted by the Inter-Council Presence; church-wide discussion in dioceses and in the Internet followed. 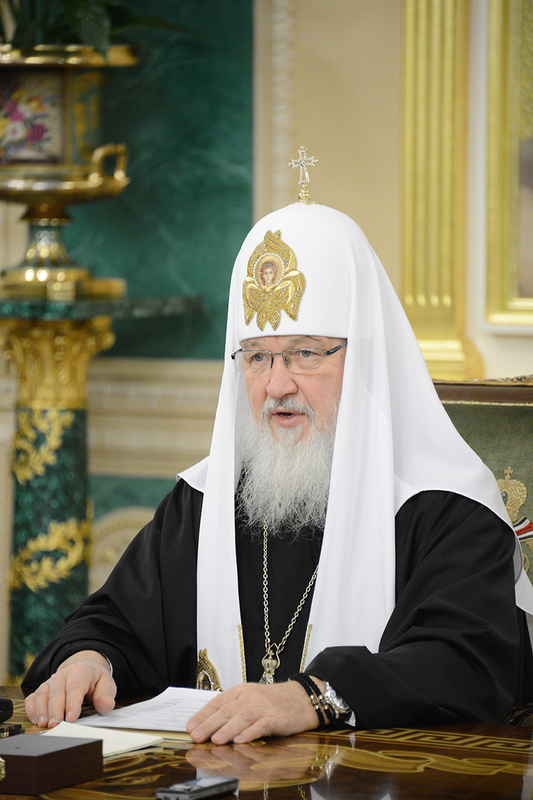 Then the plenary of the Inter-Council Presence held in Moscow on 22-23 November 2012 submitted the document to the Holy Synod for consideration. The members of the Holy Synod heard the report presented by the members of the working group for drafting the provision regulating the award system of the Russian Orthodox Church and submitted the results of their work to the Bishops’ Council for consideration at the meeting due to be held on 2-5 February 2013, and thanked the members of the working group. The Synod approved the list of the dioceses where retired bishops may reside (live). The list includes the Kemerovo, Kursk, Moscow region, Nizhny Novgorod, Novosibirsk and Saint-Petersburg dioceses. The Synod established one more day for the commemoration of the Holy and Right-Believing Prince Peter (David after taking monastic vows) and Princess Fevronia (Euphrosyne after taking the veil). It will be Sunday before September 19 (September 6 according to old style) in remembrance of the transfer of their holy relics in 1992. The new Makhachkala diocese detached from the Vladikavkaz diocese was established in the territory of the Republic of Dagestan, Republic of Ingushetia and the Chechen Republic of Ichkeria. Hegumen Varlaam (Ponomarev), father superior of the Monastery of the Holy Transfiguration in Murom, was elected Bishop of Makhachkala and Grozny. A diocesan bishop of the Vladikavkaz diocese was given the title of Bishop of Vladikavkaz and Alania. In the Tambov region, the Tambov metropolia was established which includes the Michurinsk, Tambov and Uvarovo dioceses. Bishop Feodosy of Tambov and Rasskazovo was nominated head of the Tambov metropolia. The Holy Synod took a number of decisions regarding the Russian Orthodox Church’s institutions abroad. The new parish of the Icon of the Mother of God “The Life-Bearing Spring” was established in the town ofHévíz, Budapest and Hungary diocese. The newly established parish of St Michael the Archangel in Kuala Lumpur in Malaysia was placed under jurisdiction of the Russian Orthodox Church.